The beautiful house front design of I-Hos Gallery, incorporates a whale, “Queneesh” and the double headed sea serpent, “I-Hos”. These creatures represent important crests of the Comox people. Standing inside of the entrance pole is a sxwayxwey (kway kway) dancer. The dancer wears a mask with protruding eyes and tongue. The dancer carries a scallop shell rattle and wears a tunic of swan feathers. This prestigious dance was a privilege of high-ranking Comox families. This exceptional artwork was designed exclusively for I-Hos Gallery by Calvin Hunt in 1995 and was carved with the assistance of his nephew Mervyn Child and cousin Geary Cranmer. On June 21st, from 3–7pm, bring the whole family to the original K’ómoks village site for National Aboriginal Day celebrations to enjoy a fun-filled day at the I-Hos Gallery. Savour some of our amazing traditional cuisine: wild Sockeye salmon cooked on cedar sticks over an open fire, candied salmon, and BBQ Buffalo Burgers. Its not an event without tasty bannock cooked fresh on site and spread with berry jams. 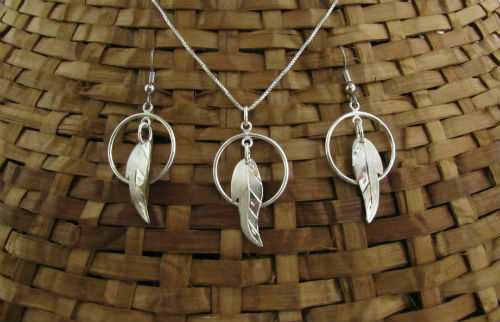 Find unique and beautiful offerings in the artisan tents that surround I-Hos Gallery in front of the Big House. Meet some of the elders at their bake sale and crafts tables. 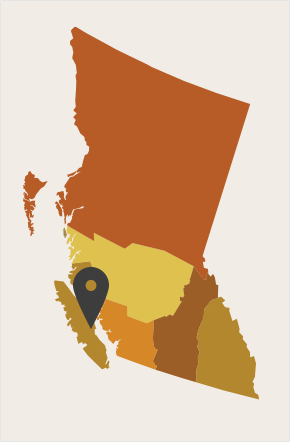 In the Comox Valley, the I-Hos Gallery is known as the place to go for authentic West Coast First Nation art. 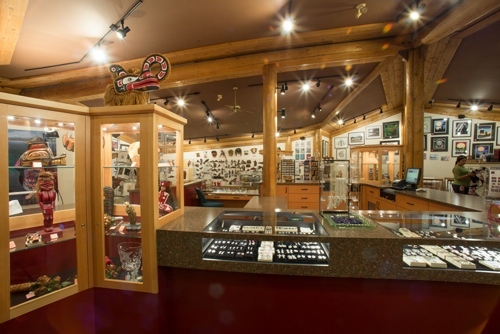 I-Hos Gallery opened its doors in November 1995 as a K’ómoks First Nation fully owned and operated business, with a mandate to promote and sell First Nations art. Band owned and operated we deal directly with as many First Nation artists as we can. 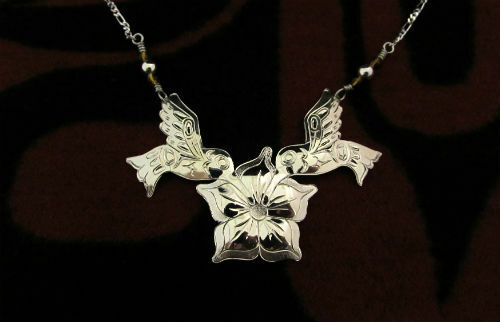 I-Hos Gallery presents a collection of traditional and contemporary NWC artwork and crafts. 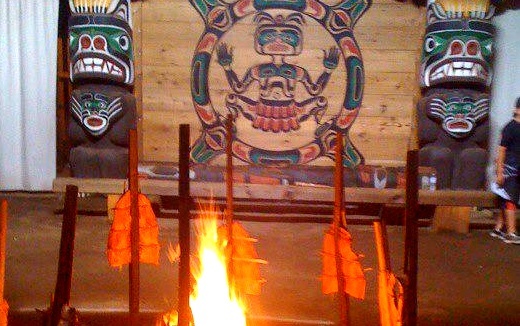 Masks, prints, gold and silver jewellery and wood carvings, textiles and clothing produced by First Nations are displayed in a distinctive building. Facilities for a Big House presentation for up to 300 people exist. The presentation can be a talk or a dance presentation in full regalia with the assistance of our Kumugwe Dance group. We have a gym that holds 175 people for a sit down meal, a full kitchen and cleaning space and up to date washroom facilities.